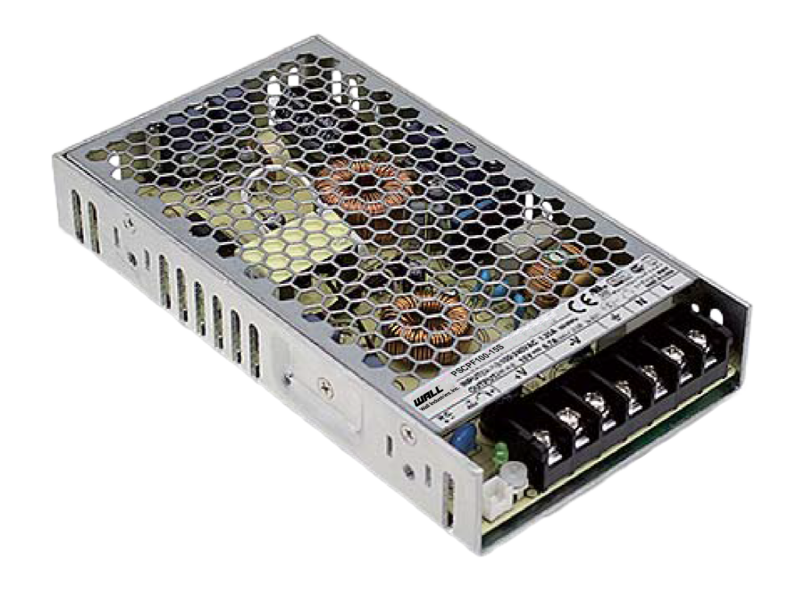 Wall Industries, Inc. introduces the PSCPF100 series of AC/DC enclosed case power supplies. The new PSCPF100 series from Wall Industries is now available. This series of AC/DC power supplies consists of 3.3-48VDC single output models with output power ranging from 66-102.6 watts. This series also has a universal input range of 85~264VAC (120~370VDC) and input frequency of 47 to 63Hz. Each model in this series features remote on/off control, built-in active PFC function and constant current limiting circuit, as well as an LED indicator for power on. This series is protected against short circuit, over load, over voltage, and over temperature conditions and has also been 100% full load burn-in tested. For more information, visit the PSCPF100 series page.